666. The number of the beast. A while back I wrote on Facebook that I was going to preach about 666, and the first thing my mother-in-law wrote in response was, “Scary number!” To a lot of people, the number 666 IS a scary number. In fact, 666 even has its own clinical phobia. Hexakosiohexekontahexaphobia. “Fear of the number 666.” (What I’m more afraid of is trying to pronounce that word.) 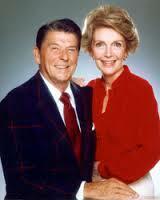 Believe it or not, President Reagan and his wife Nancy were known to have this phobia. They changed the address of their Bel Air, California home from 666 St. Cloud Road to 669 St. Cloud Road. It’s probably the most infamous number in the world. Just about every person who professes to be a Christian associates some negative connotation with that number. Even people who are very secular in their worldview think negatively of 666. I’ve known song leaders in the church whose consciences would not allow them to lead any song whose number in the book was 666. There are reports of people who were born on June 6, 1966 or June 6, 2006 getting all kinds of grief for being born on 6/6/66 or 6/6/06. There are all kinds of interpretations out there as to what 666 represents. 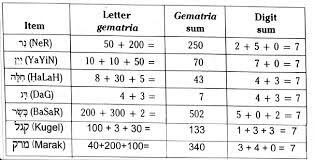 Some use gematria, the assigning of a numerical value to certain letters of the alphabet, as a way to attempt to determine its meaning. Some people, seeing that Revelation 13:18 says that 666 is the number of a man, will take the names of people who are evil or whom they consider to be evil, and they’ll try to use gematria to fit their names to spell out 666 in Greek, Latin, or Hebrew. Some will go back to notorious evil people of biblical times like Roman emperors Julius Caesar, Nero, or Domitian and try to fit their names to 666. Others will go to more recent historical figures like Martin Luther, Napoleon, Hitler, Osama bin Laden, Saddam Hussein, Bill or Hillary Clinton, Ronald Reagan, Richard Nixon, Henry Kissinger, George W. Bush, or Barack Obama and try to fit their names to 666. The three rules for making any name yield the desired 666 are: (1) if the proper name itself will not yield it, add a title; (2) if the sum cannot be found in Greek, try Latin, or Hebrew; (3) if that does not work, misspell it! Bible commentator James Coffman told of a Bible scholar who tried to use gematria to make “Nero” come up to mean 666. He first tried adding it up in Greek or Latin, and when that wouldn’t work he switched to Hebrew. That meant he couldn’t use the vowels in Nero’s name since there are no vowels in the Hebrew language, but that didn’t add up either. So he then added the title Caesar to Nero’s name, and found that wouldn’t work either unless he misspelled Caesar. Only then could he finally make “Nero” add up to 666! The other problem which is easily apparent with using gematria to interpret 666 is that there are many possible answers. Thus, it soon becomes a matter of opinion as to which one we accept as the correct interpretation. For these and other reasons, we must reject gematria as the proper method of determining the meaning of 666. There are other interpretations of 666 that are out there (and by “out there,” I really mean out there.) 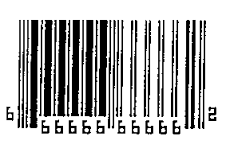 Some believe barcodes are the mark of the beast because Revelation 13:17 says, “And that no man might buy or sell, save he that had the mark, or the name of the beast, or the number of his name.” Barcodes work by assigning shapes or lines of different widths to each number. Some sources maintain that the “guard bars” (the lines on the ends and the middle of the standard Universal Product Code, or UPC, barcode) are the code for the number 6. Hence, every barcode supposedly contains 666. Others believe that the Internet, the World Wide Web, or computers in general are what Revelation’s 666 refers to. Some look at “www” and say it means “666.” Technology has frequently been viewed suspiciously by those searching for the meaning of 666. For example, I read that the first Apple computer, Apple I, sold for $666.66 and Intel’s Pentium III had a clock speed of 666.666 megahertz. This has caused some to denounce computers as a tool of the beast. 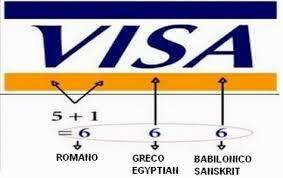 Some have determined that the VISA credit card is the meaning of 666. Using gematria, the letters V-I-S-A spell out 666…if you combine Roman, Greek, and Babylonian languages, that is. In fact, many look at credit cards, debit cards, and smart cards in general as the proper interpretation of 666, again considering that Revelation 13:17 associates buying and selling with 666. The problem with all of the above interpretations of 666, and indeed the mistake most people make when they try to interpret what any part of Revelation means, is that they ignore the very first verse of Revelation. Revelation was signified. In other words, it is a book written using signs and symbols. Symbolism. Symbolic language. The overwhelming majority of it is not meant to be taken literally. 666, literally in the original Greek six hundred sixty-six, is not meant to be interpreted as a literal number. It’s symbolic of something. Most people recognize this, although some don’t. But what does 666 symbolize? This leads to the next mistake many make. When it comes to Revelation, a lot of Christians forget that God told them to always “speak the truth” (Eph. 4:15). 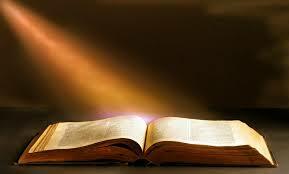 The truth is defined by God as his Word (John 17:17), which is why we are also told to “preach the Word” (2 Tim. 4:2). People go to barcodes, gematria, historical figures and credit cards to figure out what 666 means instead of going to where they should have gone first: the Word of God. I want to take us first and foremost to God’s Word to interpret 666 and some of the other symbolism of Revelation. That’s how we will have the truth, because God’s Word is truth and we are to speak the truth. Let’s also remember a couple of other important items as we continue this study. First, Revelation was originally written two thousand years ago to a people who would have had no idea what VISA cards, the Internet, Barack Obama, Napoleon, Nixon, or Hitler were. Therefore, does it make sense to ascribe these meanings to 666? Would the first century A.D. Christians of Laodicea and Ephesus have had a clue what a barcode or a microchip were if John had told them 666 stood for those things? How could knowing about the invention of the Internet two thousand years after they lived have helped them to become better Christians? Obviously it wouldn’t have. So when we try to figure out what 666 or anything else in Revelation means, let’s ask ourselves if our theory would in any way be relevant to the first century Christians. Revelation is part of “all Scripture.” So are the verses about 666. “The man of God” referred to in the passage would not only be the Christians of two thousand years ago but also you and me today. Thus, the true, scriptural interpretation of 666 would have helped those Christians in John’s day to be better servants of God. It likewise will help us to be better servants of God. The true interpretation would apply to them and us equally. Want to know if you’re on the right track in trying to figure out what 666 means? It’s when you come to a conclusion about 666 that would spiritually benefit all Christians from John’s time up to today and until Christ comes again.